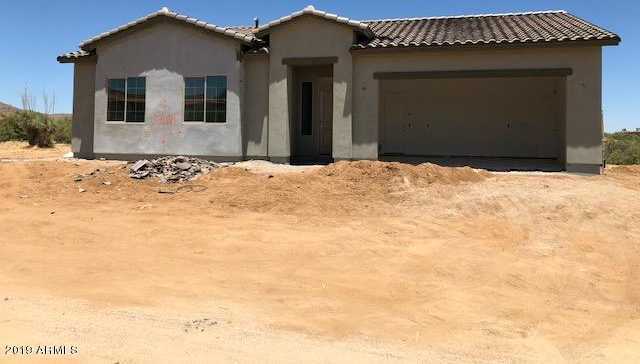 Now under construction, 1639 sf Mesquite model (MTH) on a just over an Acre Lot. Est completion end of July. Tile wood plank flooring, open bright floor plan with Gorgeous views. Split bedroom floor plan with nice size Master bedroom/ bathroom offers a large walk-in closet. His & her bathroom sinks. Separate laundry room with additional storage, Nice size pantry in Kitchen. Many hiking trails all around. A great place to come home to! Don’t wait lots of interest already on this 1-acre home. Directions: Pima to Dynamite head East turns into E Rio Verde Drive to 136th Street – Right on 136th (South) follow to home on the East Side of 136th. Approximate size: 49944.00 sq. ft. Please, send me more information on this property: MLS# 5911866 – $345,000 – 27323 N 136th Street, Scottsdale, AZ 85262. I would like to schedule a private showing for this property: MLS# 5911866 – $345,000 – 27323 N 136th Street, Scottsdale, AZ 85262.